Brodie Van Wagenen; if you can hear me, sign Dallas Keuchel or Craig Kimbrel before another team does. Everyone in the league knows it’d be the perfect fit, so why not? We need pitching and now, before it’s too late. Mets fans everywhere are sick of watching our team give up more than ten runs, but still being able to score a ton. Especially when last year we had some of the best pitching in the league, and couldn’t buy a run. Van Wagenen, please, we’re begging, we can win this year! First step, get the Wilpons to open those pockets and spend some cash. Okay, okay, yeah, you just signed DeGrom to a five-year, $137.5 million contract, but he is now tied for the most consecutive quality starts in MLB history at 26 with Hall of Famer Bob Gibson, the guy deserves to get paid! Jason Vargas did not deserve to get paid $16 million in 2018, and now you need to fix the sad mistakes Sandy Alderson made and the Wilpons allowed. Vargas would be great as a long reliever. He’s shown signs of life in the beginning of some starts but quickly falters and doesn’t give the team a chance to win. Shorten his role, allow him to focus on one or two innings, and bring in Keuchel. Keuchel’s expected WAR for the 2019 season is at 2.5, while Vargas’ is at 0.5. Vargas also had a negative WAR last year, and had just been a total bust since stepping in to the tough media market of New York. Keuchel had a 3.74 ERA in 204.2 innings last season, while Vargas had a 5.77 and made Mets fans cringe everywhere. Do the swap, it’ll be worth it. Initially asking for a six-year, $150 million deal in the beginning of the offseason, Keuchel would now not mind any one-year deal worth more than his qualifying offer with the Houston Astros, $17.9 million. Yeah, you’d exceed the $206 million Competitive Balance Tax for the first time in team history, but why not? You wanted to win this year, right? As for Kimbrel, well, the guy is one of the best closers in baseball, and if he plays for a winning team, I’m sure he wouldn’t mind a set-up role behind Edwin Diaz in the bullpen. He is a seven-time All-Star, has a career ERA of 1.91 and led the Boston Red Sox’s ‘pen to last year’s World Series victory. 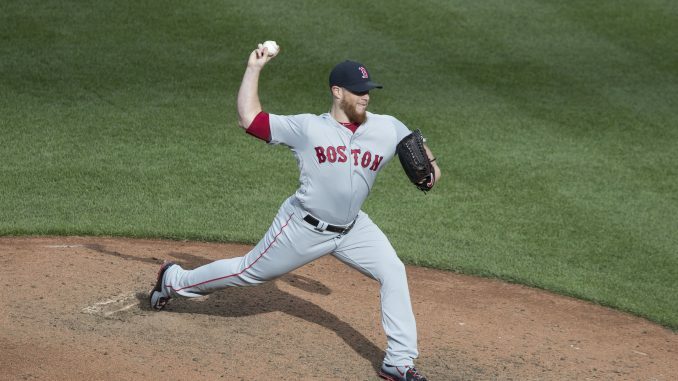 A proven leader, Kimbrel could be the last piece to make teams fear us. Much like Keuchel, Kimbrel was asking for six-years and $100 million. He will surely not earn that now. Pay him around $20 million a year on a one or two year deal, and he’ll be happy. Come on Van Wagenen, let’s do this! Make a move you won’t regret.